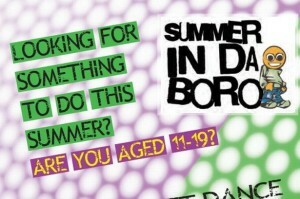 There’s a whole host of supervised activities lined up for 11- to 19-year-olds to enjoy this summer of fun in the sun! Activities are either free or low cost, to help take the heat off families looking for ways to fill the school holidays. Reading FC’s Community Trust Kicks Project offers more than just football, with boxercise, paintballing and cheerleading sessions scheduled throughout the school holidays. Kicks is also organising a West End trip to see the Lion King and a chance to ride the white knuckle rollercoasters on a day trip to Thorpe Park. Sport sessions from the council’s youth engagement service include free-running, skateboarding, kayaking, mountain biking and basketball. For less sporty youngsters, the council will run sewing, cooking and origami sessions as a creative way to while away long summer days. 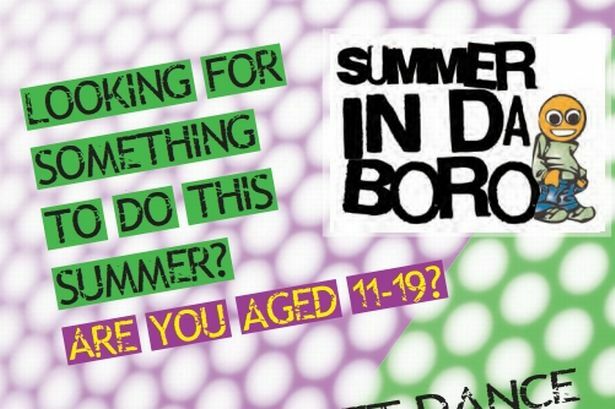 This entry was posted in Events and tagged Summer in da boro on July 23, 2014 by Ashley Pearce.